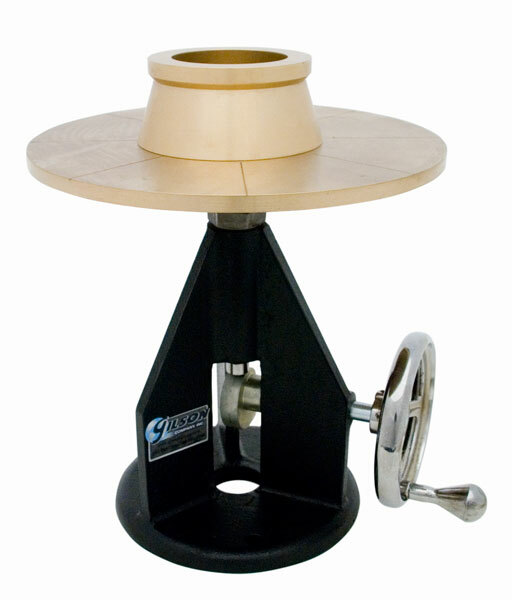 Manual Flow Table - Gilson Co.
HM-274 Manual Flow Table for determining consistency (flow) and preparing mortars of standard consistency for testing. HM-274 provides reliable results and is recommended for applications where strict adherence to standards is not essential. Flow Table has 10in (254mm) diameter rigid cast bronze table supported in cast iron frame. Base and special drive motor bracket mount to concrete pedestal. Concrete pedestal not included. Included cast bronze flow mold has 2.75/4in (70/102mm) top/bottom ID with collar. Additional HMA-133 Flow Molds are available for increased productivity.